« The AMT(Alternative Minimum Tax) : Will This Tax Apply to You? 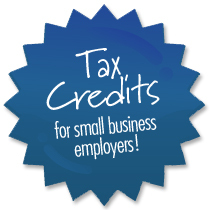 Will You Qualify for Small Business Health Care Tax Credits? You may qualify for employer health care tax credits if you have fewer than 25 full-time equivalent employees making an average of about $50,000 a year or less. Our Bergen County CPA office offers you insight to this. We cater to Bergen County CPA tax preparation in New Jersey since we are a Bergen County accountant firm. Please contact us if you are interested in this. We can be reached at 201-947-8081 or 646-688-2807, or email us at info@bergencountycpa.com.